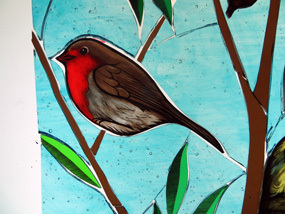 These stained glass british birds have been designed and made for a former pub in a small village on the outskirts of Banbury. 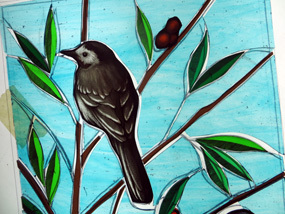 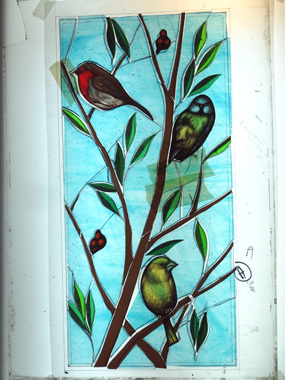 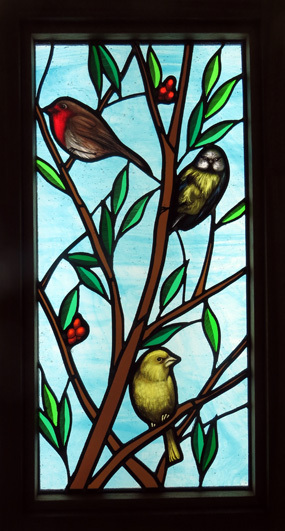 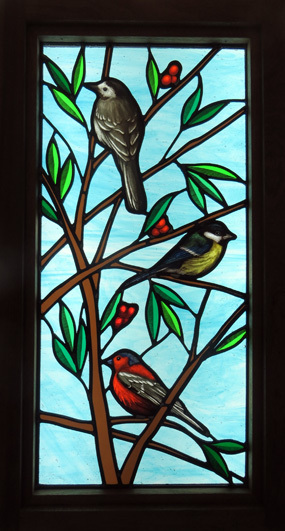 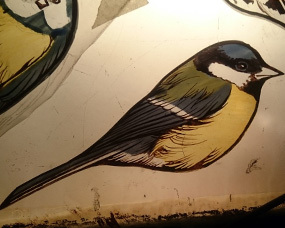 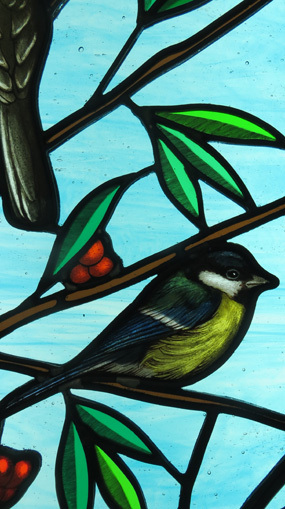 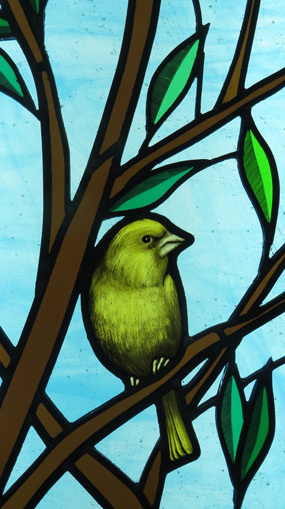 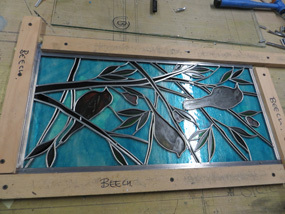 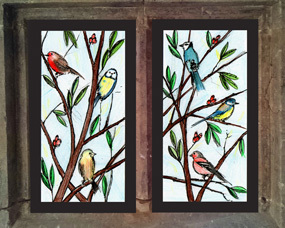 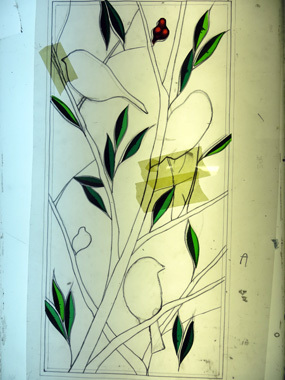 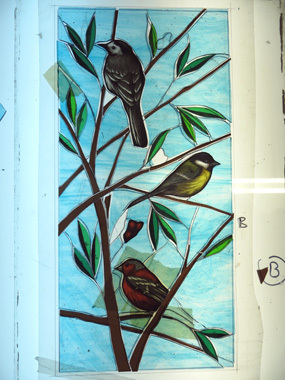 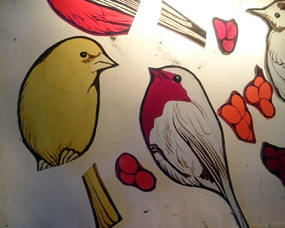 The brief was to design two stained glass panels featuring native British Birds. 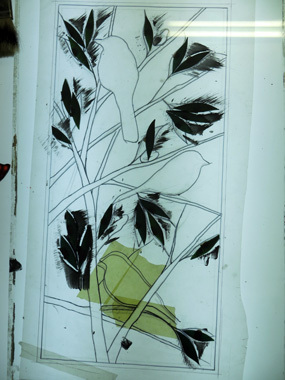 Hardwood frames have been made to match the existing within the house and so that the panels can be back lit with LED lighting.. To create the colouring in the birds they have had to be etched, silver stained and enamelled as well as painted. 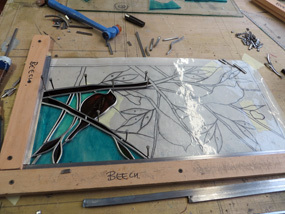 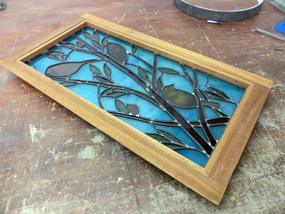 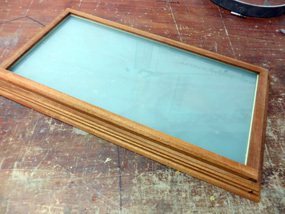 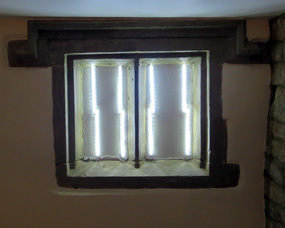 The glass is all handmade other than the background glass which is a streaky cathedral which helps to diffuse the light.